One roundup list wasn’t sufficient to capture the best books in 2018 for content marketers. 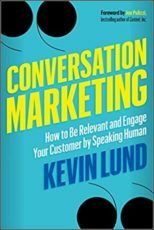 Get more examples, tips, and wisdom to upgrade your content marketing skills from these six books. Some are by first-time authors; some are by first-time self-published authors; and others are by authors who worked with large trade publishers. All have important lessons to share. As always, I’ve included books on a range of topics, from brand identity and copywriting to content strategy and project management. They are appropriate for readers who are experienced in content marketing as well as those new to the field. These books also are affordable, with digital versions ranging from free to less than $10. It’s time to create a strong connection to your firm’s story. 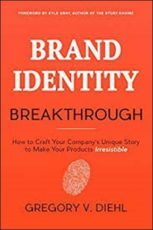 A glance at Brand Identity Breakthrough’s table of contents provides a clear outline of what’s ahead, from exploring your brand identity to creating case studies for your brand identity. The goal? To create a brand identity that stands out in a crowded marketplace and to enable you to tell memorable brand stories. During 2018 – and continuing into 2019 – the stakes for content marketers are more demanding, with increased scrutiny on budgets, executives’ concern for results, the constant need for fresh content, and a need for mastery of changing technology. In addition, normal creative and procedural disagreements often threaten to boil over, reducing morale and productivity. 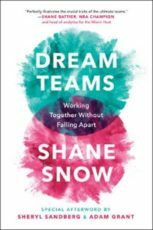 Dream Teams, by the founder of Contently, reads like a story book, not an MBA dissertation. It addresses the “magic” that teams of divergent experiences and personalities can bring to winning hockey games or protecting presidents. It details a different way to approach group dynamics. Dream Teams never loses its basic story structure. As an antidote to its serious tone, Judith Hagy’s signature illustration style shows simplified versions of group behavior. 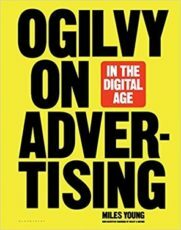 If you studied marketing in college, you probably remember reading David Ogilvy’s Confessions of an Advertising Man, which was followed by Ogilvy on Advertising. It inspired generations of copywriters with its conciseness, examples, helpful advice, and timeless wisdom. In print since 1953, Ogilvy’s book is as friendly and entertaining as other classics such as Stephen King’s On Writing or William Strunk Jr. and E.B. White’s The Elements of Style. The scholarly book is intended for high-level content marketers and brand managers. The information is solid and does well in sharing the advantages that digital brings to content marketing. But, unlike the energetic and manifesto-type writing of the earlier book, the “digital” edition has a more sanitized feel and white-space-filled reflective pages and small type characteristic of annual reports and scholarly books. The high-visibility founder of Express Writers, a fast-growing content creation agency with 5,000 clients, crafts a companion book to her soon-to-be-released six-module e-course. Even without the videos, the book contains valuable information written in a concise style. Most of her paragraphs are no more than three lines, which fit with the upcoming video presentation of the information. I studied the visuals with great interest. Their strength comes from their ability to offer readers an opportunity to write down words for their content projects. The book’s availability also offers an excellent opportunity to audition the contents of the video before purchase. If you’re a Copyblogger fan, you’re undoubtedly familiar with Pamela. For the past 10 years, she not only contributed many of the site’s best posts, she edited all the contributions. Now Pamela, too, is creating a combination book and video content marketing e-course. 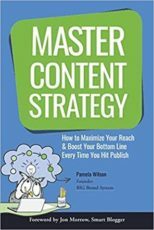 Pamela Wilson’s Master Content Strategy appears more compatible than competitive to Julia’s book and e-course. Julia emphasizes more of the management aspects of successful blogging, with topics like search engine optimization, domain authority, etc. Pamela’s book is more oriented toward content and marketing, as illustrated by her four-day content creation system – beginning with your headline and subheads on day one to publish and promote on day four. 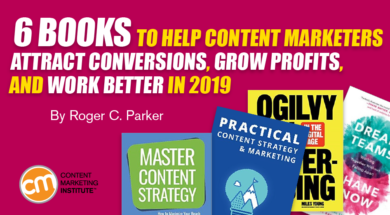 Were you as impressed as I was with the quality of 2018’s best content marketing books? Have you read any of the 2018 titles that appear above, or those that were featured in my December 2018 roundup? Are there any titles you wish I had included? Please share in the comments. What was your best content marketing work in 2018? Enter it in the 2019 Content Marketing Awards. Submit your entry today.